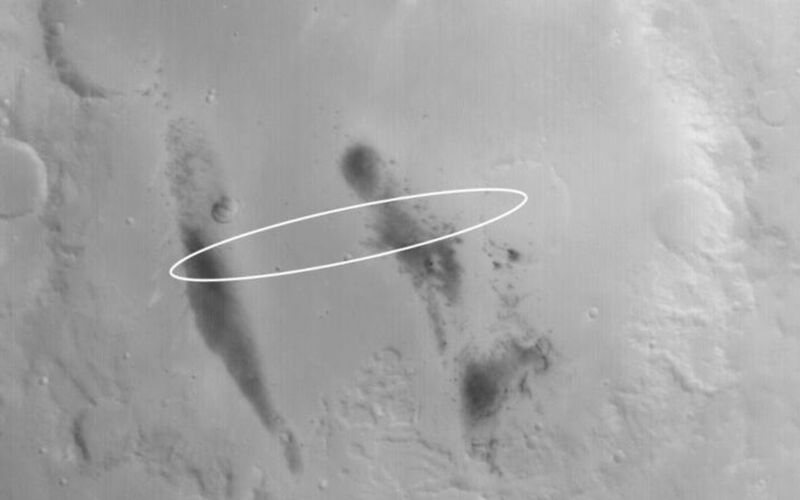 This Mars Global Surveyor (MGS) Mars Orbiter Camera (MOC) wide angle image shows the crater in which the Mars Exploration Rover, Spirit, is scheduled to land on 4 January 2004 (around 8:35 p.m., 3 January 2004, Pacific Standard Time). 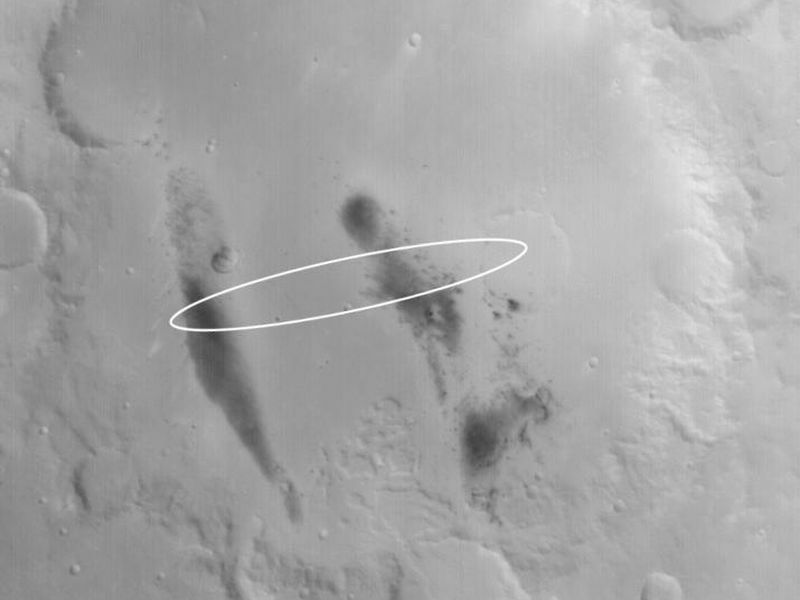 The white ellipse marks the approximate location of Spirit's landing zone. Gusev Crater is about 165 km (103 mi) across. 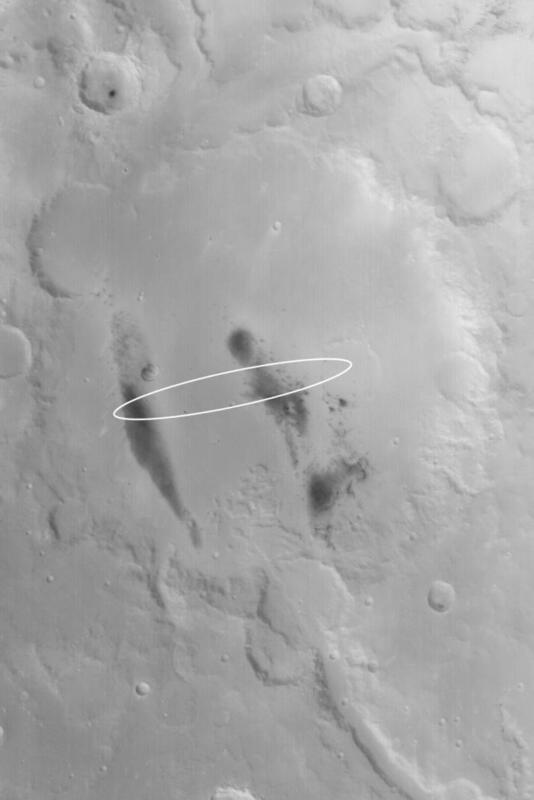 The valley that enters Gusev from the south-southeast (bottom/lower right) is named Ma'adim Vallis. 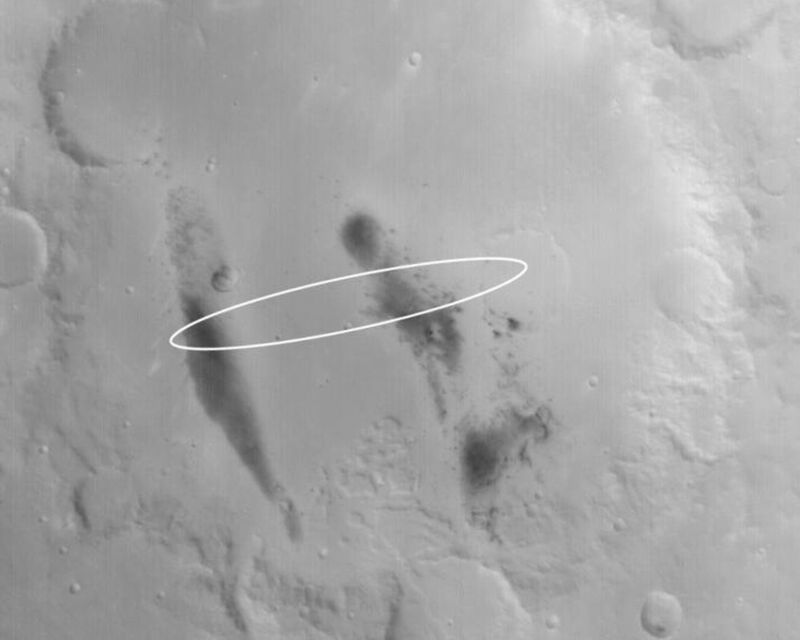 The dark areas on the floor of Gusev, when viewed at higher resolution, are found to be surfaces from which dust devils and wind gusts have removed or disrupted the fine, bright dust that otherwise blankets the crater floor. This image, acquired in November 2003, is located near 14.5°S, 184.6°W. Sunlight illuminates the scene from the lower left.